The plan would be meant to take the pricing of the hard currency out of the hands of street dealers into a newly established “secondary foreign currency market”. To the same effect, it would ban the Central Bank of Iran (CBI) from dictating its own rates for the Dollar and would instead peg the value of the hard currency to the actual trading rates as obtained from current transactions between currency suppliers and buyers in a newly established “secondary foreign currency market”. This would be part of a package of CBI policies which would be unveiled soon for controlling the rates of foreign currencies, Iran’s media reported. Based on the same package, the rate of the hard currency could fall to as low as Rials 80,000 to 85,000 from the current highs of above Rials 10,000. Accordingly, the official rate of the dollar – presently set at Rials 42,000 – would be allocated for imports of basic commodities and pharmaceuticals, according to a report by ISNA news agency. On Sunday, the Rial broke past 11,000 against the Dollar and started a runaway spree that went to as far as 12,000 the following day before settling down at near 10,000 on Tuesday. CBI’s new chief Abdolnaser Hemmati, on Monday attributed the currency market volatility to the enemies, saying they were out to destroy the country’s assets and instill disappointment among the public. He was referring to a decision in May by US President Donald Trump to withdraw Washington from a 2015 nuclear agreement with Iran and announce the return of economic sanctions against Iran. The return of the sanctions has already forced Iranian officials to look for solutions to maintain business with the outside world. Using the digital currency has been cited as one of those solutions. Based on CBI’s upcoming package, major exporters of non-oil products would be obliged to sell their Dollars in the secondary market. A final policy would be to slash into half the amount of Dollars that travelers can buy at Rials 42,000. 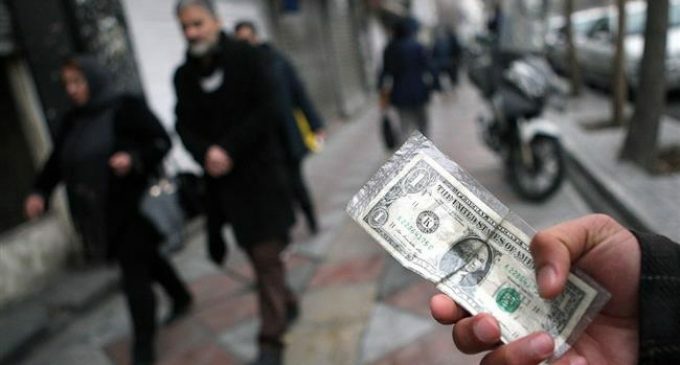 On a related front, Masoud Kimiayi Assadi, a member of Iran’s Chamber of Commerce, was quoted by ISNA as saying that the government would begin to announce the real price of the Dollar as traded between suppliers and buyers in the secondary market as the benchmark exchange rate for the hard currency. The price of the Dollar, Kimiayi Assadi said, would be floating and the government would no longer dictate its own price on the market and would rather play the role of a “supervisor”.